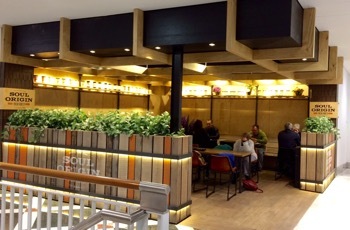 Soul Origin is a fresh new presence to the lunch scene in Westfield Woden. 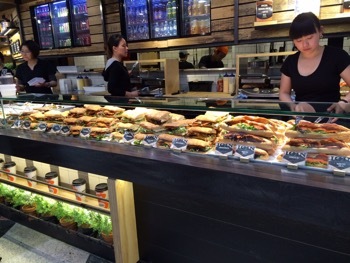 Offering a wide range of delicious looking gourmet salads and sandwiches/wraps/baguettes/tortillas/ paninis at take-away prices, there is also a small among of pleasant seating available. Soul Origin also very helpfully displays the kilojoules in the different options and sizes both at the counter and on-line, so you can make an informed decision. Serve sizes are generous and easily shared between two modest appetites. 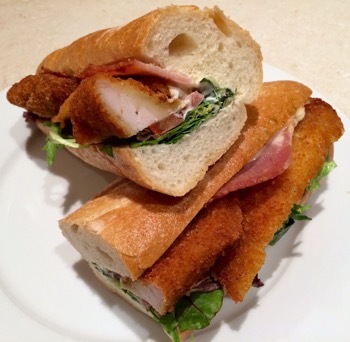 Schnitzel BLT Baguette (delicious, but heavy on the kilojoules at 4660kJ per roll). The salads and sandwiches are sold at reduced rates after mid-afternoon so that’s a great time to grab something easy for dinner of you’e on your way out. 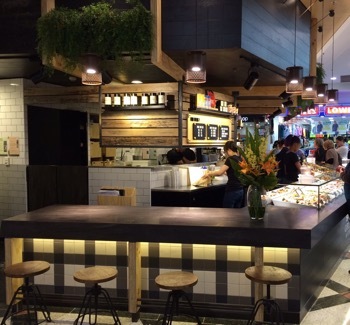 Space, Woden – opening today! and very wow!